Influential reviewer Consumer Reports says that it no longer recommends Microsoft Surface tablets and laptops. The consumer group says that poor predicted reliability for the Surface range means that it is pulling its "recommended" tag. More than this, Consumer Reports goes on to say that it "cannot recommend any other Microsoft laptops or tablets." Recent studies suggest that a quarter of laptops and tablets from Microsoft will present problems for users within two years of ownership. Consumer Reports is specifically stripping the 128GB and 256GB versions of the Surface Laptop and the 128GB and 512GB versions of the Surface Book of their coveted "recommended" status. 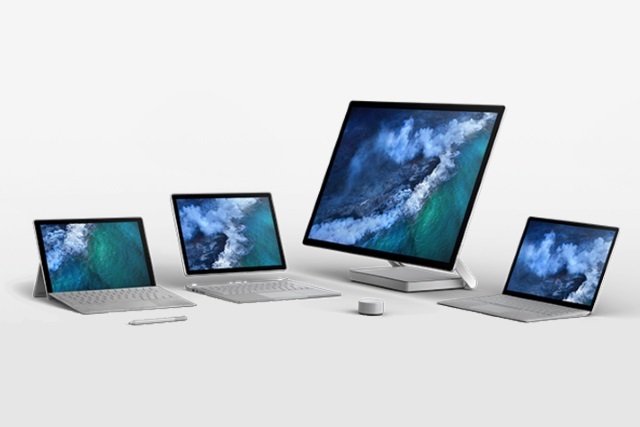 The group says that its decision applies to "Microsoft devices with detachable keyboards, such as the new Surface Pro released in June and the Surface Book, as well as the company's Surface Laptops with conventional clamshell designs." Microsoft's real-world return and support rates for past models differ significantly from Consumer Reports' breakage predictability. We don't believe these findings accurately reflect Surface owners' true experiences or capture the performance and reliability improvements made with every Surface generation. Consumer Reports points to reported problems with touchscreen, issues at startup, and problem with freezing and random shutdowns. Microsoft's hardware was found to be significantly more problematic than other manufacturers', although the group points out that devices such as the Surface Pro fare well in terms of performance.